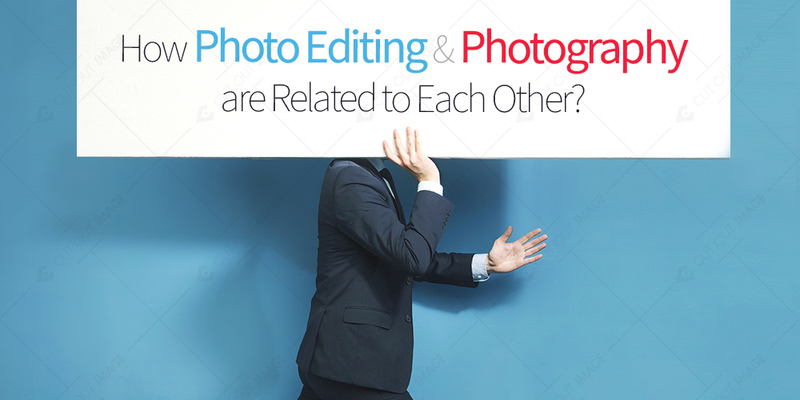 How Photo Editing and Photography Are Related to Each Other? The trending digital media has brought photography and photo editing closer to each other. Professional photographers make use of photo editing widely to enhance their pictures and take them to a whole new level. Every photographer has to retouch the photos before adding them on their portfolios, online portals or social media. To promote the work, it is essential to show your creative and best side to the world to gain their trust. Lots of photo editing techniques are there which can brush up the pictures to a great extent. Whether it is about removing the dark spots, patches, blemishes, dust particles, scratches or anything that ruins the look of the picture, photo editing works wonders. I would like you to read the major and integral techniques that are used commonly to improve the pictures. To remove the unwanted objects around the subject, cropping is used. Also, it keeps the picture quality intact and gives you full control over what you want to keep or remove. Before cropping, it would be great if you resize the picture to its right size so that the crop tool works flawlessly. Another important feature is the color balance tool. To make the images look professional, they must have perfect color balance. All thanks to the expensive professional cameras that make the images look wonderful. But still, some pictures need touch ups to exude their real glamour. The surrounds and the atmosphere contributes a lot in creating nice images so when you click the images, make sure that both these elements look subtle. The color and brightness of the picture must be well versed with the background. For an example, if the subject has pastel color, then the background should also be not too vibrant. Before uploading the images on the portal, resizing holds a great importance. If you want your portal to look good from every angle, resizing is must. Having different sized images on the website pushes away the customers as it becomes difficult to explore the site. Also, if the images are not size optimized, the loading speed of the site slows down thus increasing the bounce rate. People will leave the site without even checking out what’s in the store. 450 px is the standard size of the web images so adjust them properly before putting on the site. Other than that, the image format is necessary i.e. JPG and PNG works best. Yet another important photo editing service is retouching. For any photo, retouching is essential to make it look professional. While clicking a picture, it is quite natural that some imperfections get clicked along so photo retouching deals with those flaws. However, in the close zoom mode, you will see a lot of annoying things which are then removed using photo retouching feature. Make the image look more vibrant with an effective use of photo retouching. Lastly I would like to cover the filters and effects which are added in the photo to fix the flaws that are not dealt by retouching. Although there are much software to take care of the effects and filters, Photoshop has an awesome set of both. Custom as well as manual effects are there to apply on the images but if you are a beginner, try your hands on the custom/premade effects. It makes the images attractive and worth noticing and also intensify the background. With the addition of effects and filters, better images are created. Also, the picture quality gets enhanced with certain effects owing to their excellence. Before you start working on the images, read this article properly with open eyes and grasp a good knowledge of photo editing. Rock the results!